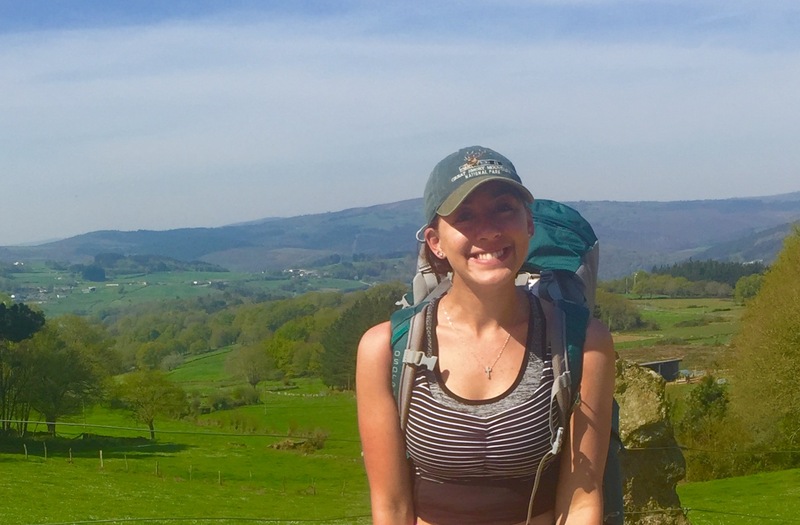 Senior Honors corporate communications major Erin Sanislo recently presented her thesis, “The Making of the Modern Pilgrim,” to discuss her journey on the Camino de Santiago in Spain. Sanislo studied at the University of Santiago de Compostela for five months, where she was able to research the camino on-site. In total, her research spanned approximately 1 1/2 years, including walking the Camino twice. She first experienced the trail as a pilgrim during Easter week, a popular time for holy pilgrimage on the trail. The Camino de Santiago is a pilgrimage rich in history, legend and tourism. It incorporates 39 routes that spread throughout all of Europe. Sanlislo hiked a 116-kilometer section of the trail, making for a week of six-hour walking days.